Changi Airport Group (CAG) has re-appointed J. Walter Thompson (JWT) Singapore as creative agency of record for another three years, after a pitch that involved eight agencies. Meanwhile, CAG also appointed social influence marketing agency Goodstuph as its social media agency of record. JWT, which first won the business in 2013, will continue its role in advancing the brand’s communication vision across all parts of the business, including operations, commercial, and air hub services. 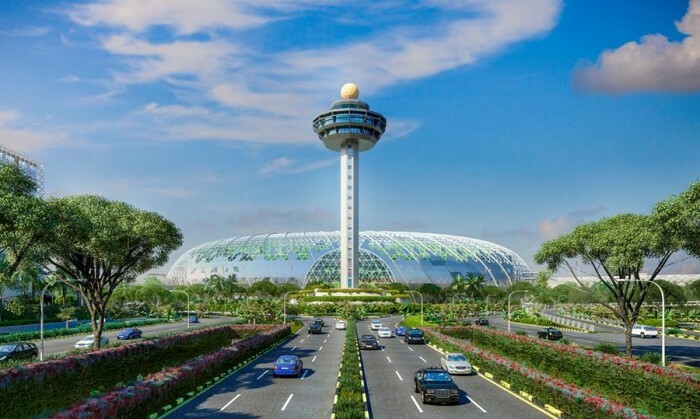 The agency also expanded its remit with Changi in 2014 to include a wider digital portfolio, launching changiairport.com and changiairportgroup.com. Goodstuph beat out more than a handful of other competitors during the one and a half months evaluation process starting October 2015. The scope of the appointment will be for a period of two years. During this time, Goodstuph will provide strategic counsel regarding social media marketing that covers three main social media platforms, Facebook, Twitter and Instagram, for Changi Airport. He added that as one of the world’s busiest air hubs and a popular destination among Singapore residents, CAG is “keen to continue to engage with passengers and visitors, sharing with them good stuff on travel, shopping and dining”. “Changi Airport has achieved a strong presence on our social media platforms and we look forward to working with Goodstuph to elevate our engagement with fans and followers,” Tan added. JWT has over the years created a series of campaigns for the airport over the last two years, including ‘rethink travel’, a brand campaign that highlights the many unexpected experiences it offers and positions the airport as an exciting starting point of the holiday itself. It also created the online campaign “I’m Home”, designed to both celebrate the company’s vision and culture, and pay tribute to the nation’s 50th birthday. The agency has also produced a number of successful content series for key markets, including “Behind Changi”, a high-energy content series featuring Singaporean TV host Michelle Chia that shares the untold stories of the people, processes and technology that makes the airport number one. Currently, Changi’s target market includes business and leisure travelers, as well as tourism partners and airlines. The airport, which has 350 retail stores and 160 F&B outlets, has also introduced concepts never before seen in an airport, such as double-storey stores for wines & spirits and cosmetics & perfumes, a butterfly garden, an indoor slide, and one of the largest kinetic art sculptures in the world. In 2014, Changi Airport set a new record, achieving more than 54.1 million passenger movements. Last year, CAG also appointed Havas Media Singapore its media account, which is reported to be worth SG$16 million. The creative pitch was called shortly after in September, while the social pitch was called was in October. "When we first started out in Singapore, we rented two desks from BBH. "..